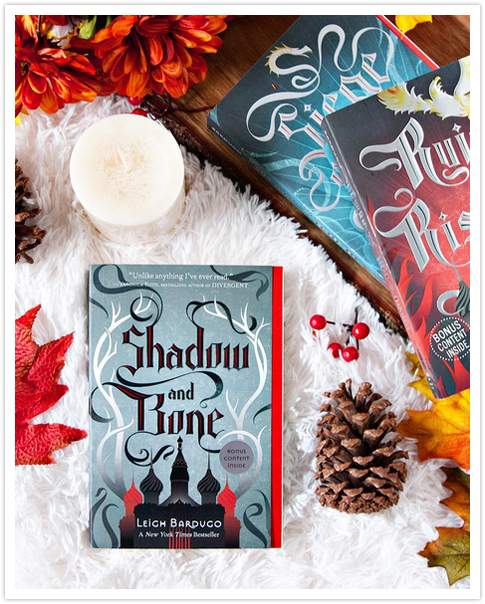 I first read Shadow and Bone by Leigh Bardugo way back in 2012 when the book was first released, but I never finished the rest of the books in the series, which is something that I really wanted to do this year. 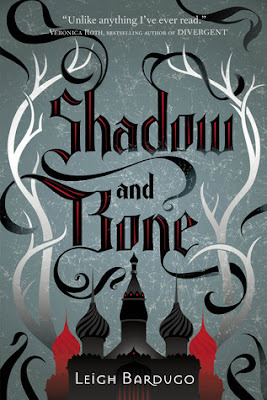 So when Lori and I were thinking of a book to kick off our very first Readalong /Book Club (#AlltheBooksReadalong) pick on Instagram, Shadow and Bone was one of the first books to come to mind. Since I read the book so long ago, and didn't remember much about it, it sounded like an absolutely perfect choice. And it was!! I'm so glad that I decided to re-read this book before finishing up the rest of the books in the series, as I didn't remember much of anything about it. I kept waiting SOMETHING in the story to be familiar from reading it before, but it didn't really, which was surprising. (Thought it shouldn't be... I've read a couple hundred books since I first read this one. Ha!) This book was a really great read. I enjoyed the storyline and the awesome characters as well. When I turned the last page and closed the book, I wanted nothing more than to start Siege and Storm, the second book in the series, right away. Unfortunately I have other books that must be read at the moment, but I will definitely be working the second and third books into my TBR for the next few months. Overall; If you haven't already checked out Shadow and Bone by Leigh Bardugo, I highly recommend that you do so! I tried to pace myself while reading the book, and I ended up flying through it instead, it was that good. I can see now why others rave about it, and I can't wait to get started on the second book to see what's going to happen next for Alina on her journey.